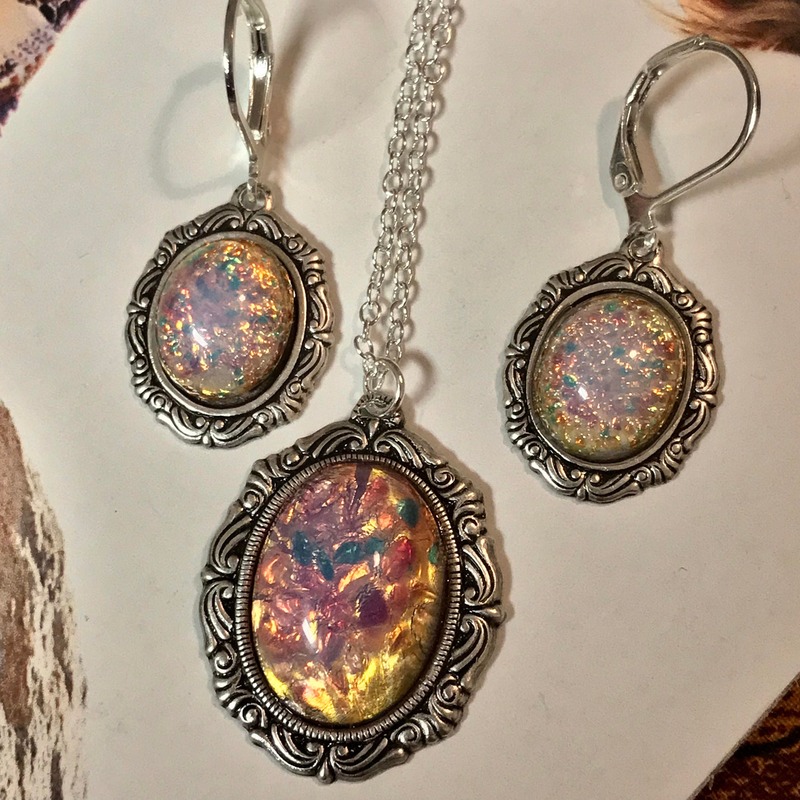 The Opal Pendant for the necklace rests on an oval silver colored bezel, 1" tall with matching Sterling Silver Plated 20" Petite Cable chain is included. 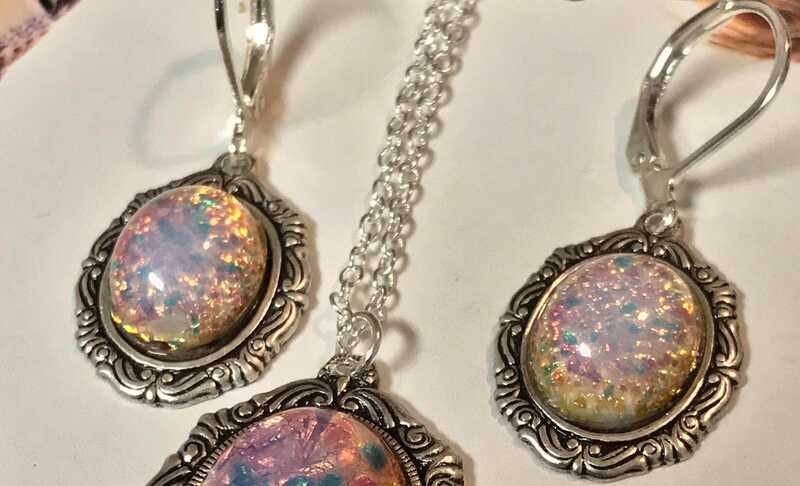 The Opal earrings are smaller and rest on a silver colored bezel with sterling silver plated ear lever hooks. 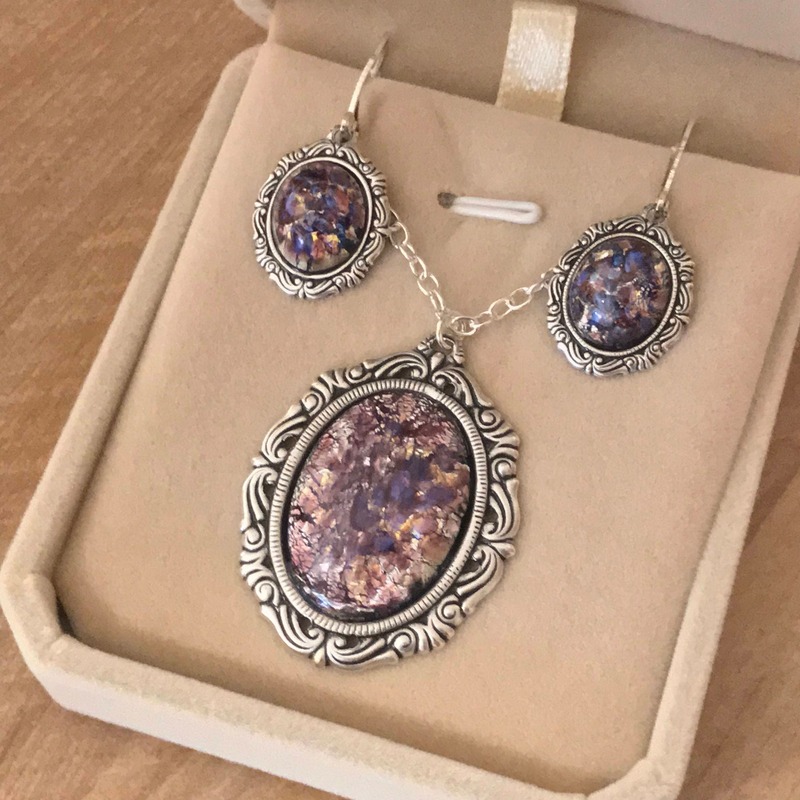 Earrings come in a small gift box, ready to give as a gift - or to keep for yourself. * I do not recommend exposing your item to water (wearing whilst swimming, bathing, showering, strolling in torrential downpours without an umbrella, etc). * To clean, simply use a soft polish cloth.